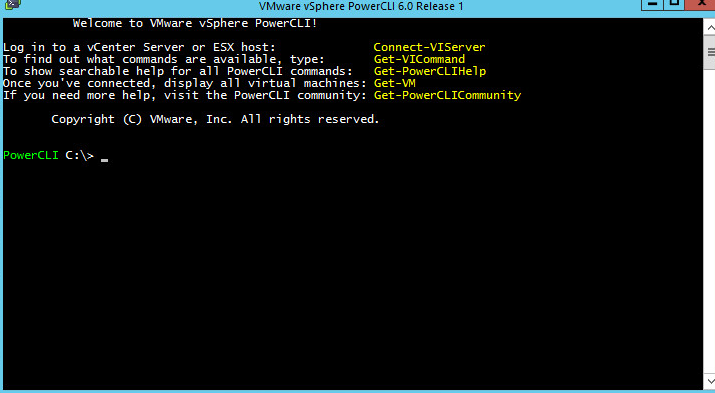 To begin the jurney with PowerCLI we need to start from the installation of PowerCLI itself. The installation can be done on a Windows based system, that could be some kind of an administration server. The installation files can be found on this VMware site. There are a few versions available, they are released asynchronously with vSphere and the version numbers do not exactly correspond to vSphere versions. The most recent version is 6.5 whilst there are other like 6.3, 6.0 or 5.8 available. The installation process is really straightforward, that’s why I will not spam the screanshoots of installations here. it lists all the available commands. 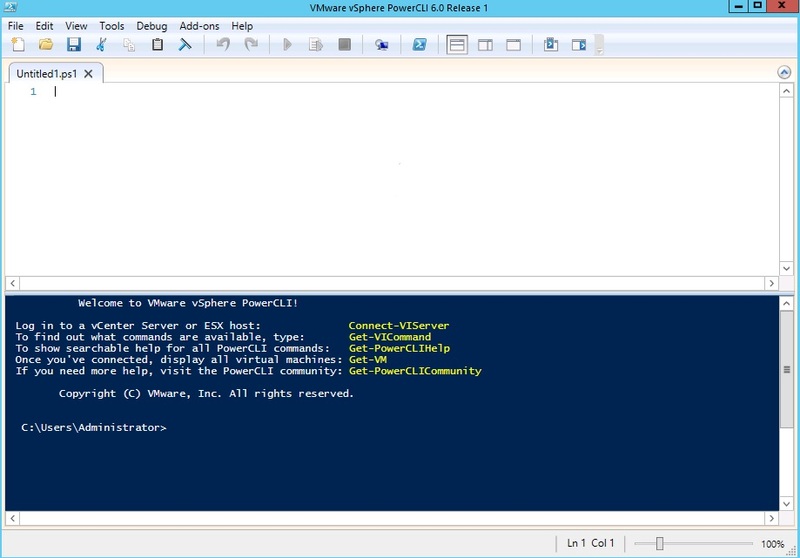 However to display any information about virtual infrastructure you need to connect to a vCenter server or ESXi host. 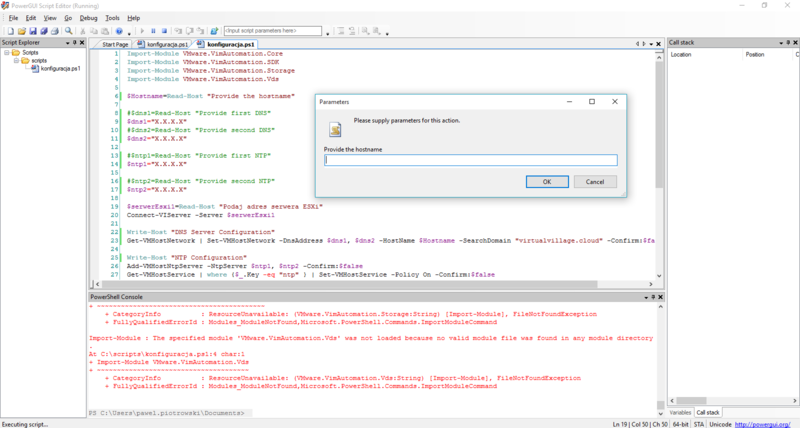 We will do it in the next part after introduction of useful tools which can be used in conjunction with PowerCLI.